When building your NBA DFS lineups, there are a plethora of statistics and information to incorporate. Among the most important are usage rate and minutes played. If you're new to NBA DFS, or simply aren't familiar with what usage rate is, you've come to the right place. Here we notice an even bigger increase, as Gay's usage jumps a whopping 5.9% when Cousins isn't on the court with him. These are the types of numbers that can give you a substantial edge when building your lineups. Not simply leaning on season-long usage rates, but taking into account the team's current situation and personnel. There are plenty more examples of this in the NBA, which is why it is very important to be cognizant of these numbers and know how to utilize them to gain an advantage over the field. Another key way to utilize usage rate is to find high-volume bench players who have high usage rates, despite playing a small number of minutes. A few great examples of this from 2014-15 were Marreese Speights (29.1% usage rate off the bench) Lou Williams (27%), Isaiah Thomas (27.8%), and Gerald Green (28.4%), who all had usage rates in the top 30 of NBA players. However, the correlation to minutes played is also important, as none of these players finished in the top 150 in MPG (minutes per game): Thomas 25.8 (154th), Williams 25.2 (161st), Green 19.5 (251st), Speights 15.9 (322nd). This leads us into minutes per game. While minutes often equal opportunity, especially in the NBA, that is not always the case. Players such as Ben McLemore (32.6 MPG) may seem like enticing options, especially on FanDuel, where you have to roster 2 players at a weak SG position. However, when you look at his production, the appeal diminishes quickly. While he did average 12.1 PPG, he averaged just 2.9 RPG and 1.7 APG. These numbers aren't awful by any means, but McLemore is strictly reserved for cash games in my book, because he doesn't have upside. An ideal example of minutes equaling opportunity and production is Jimmy Butler. Not only did he lead the NBA in MPG in 2014-15 (38.7), but he had a solid usage rate (21.6%), as well as 20 PPG, 5.8 RPG, 3.3 APG, and he was top-10 in steals (1.8). This is the type of situation where you have a versatile player who takes advantage of his opportunity and likely has the highest DFS floor of any player in the NBA if you factor in salary. When you are building your lineups for any given night, be sure to take into account the injury situation first. Use that information to find which players will see the biggest increase in production due to said injury, while also determining a safe floor. In GPPs, once you have built the “core" of your lineup, you'll often want to fill out the remainder of your lineup with players who are very similar to the high-usage, low-minutes players mentioned above. In cash games, you want to find players who not only play a solid number of minutes, but use those minutes to produce as well. 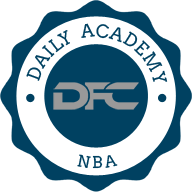 If you have any further questions about usage rate, minutes, or how to decipher this information or statistics, reach out to our experts in the forum or on Twitter @dfcafe!